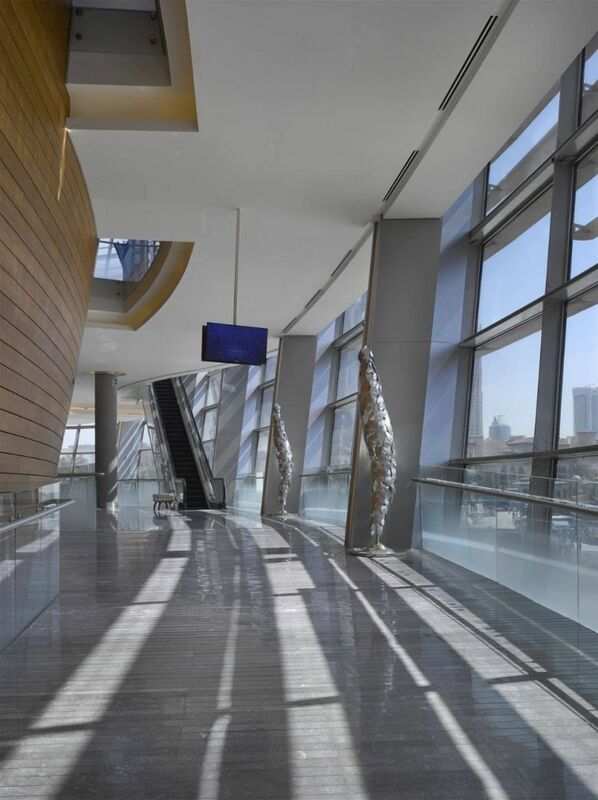 Dubai Opera is located in The Opera District, on Sheikh Mohammed Bin Rashid Boulevard in Downtown Dubai. 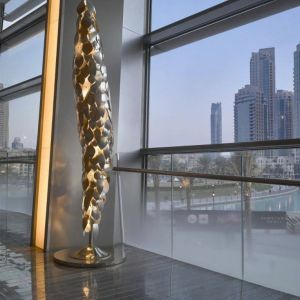 Dubai Opera is the radiant centre of culture and arts in Dubai and the shining pearl of The Opera District. 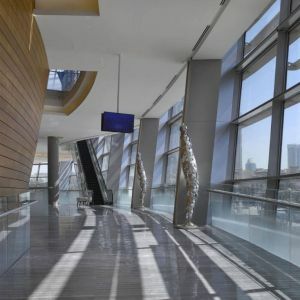 The building’s exquisite design, by architect Janus Rostock, has the exceptional ability to transform into three modes; from a theatre into a concert hall, and then into ‘flat floor’ mode, becoming a banquet or event hall. 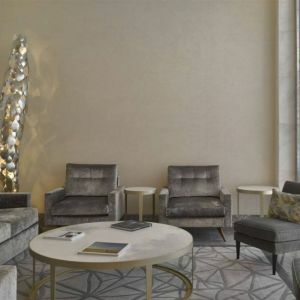 The design of the interiors is embedded in the culture and history of the city and celebrates an unbreakable link to the sea, sailors, and merchants who brought wealth and prosperity to the city. 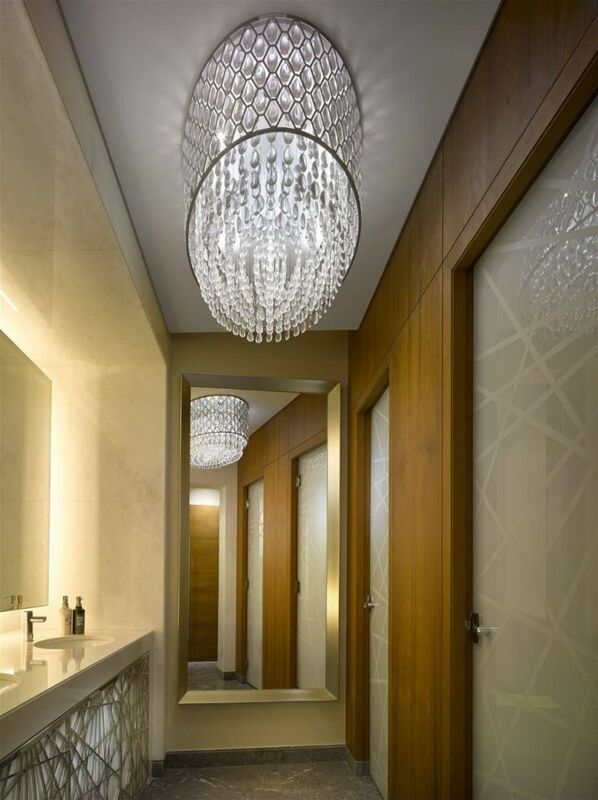 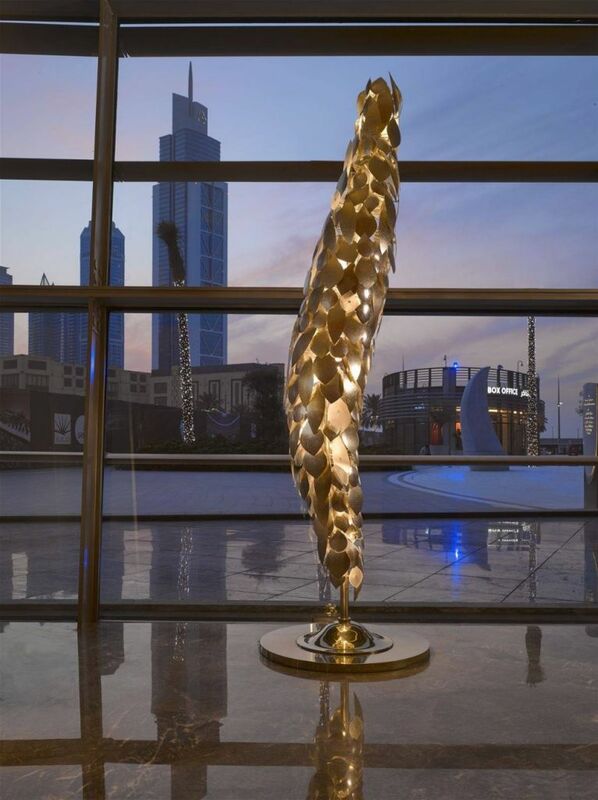 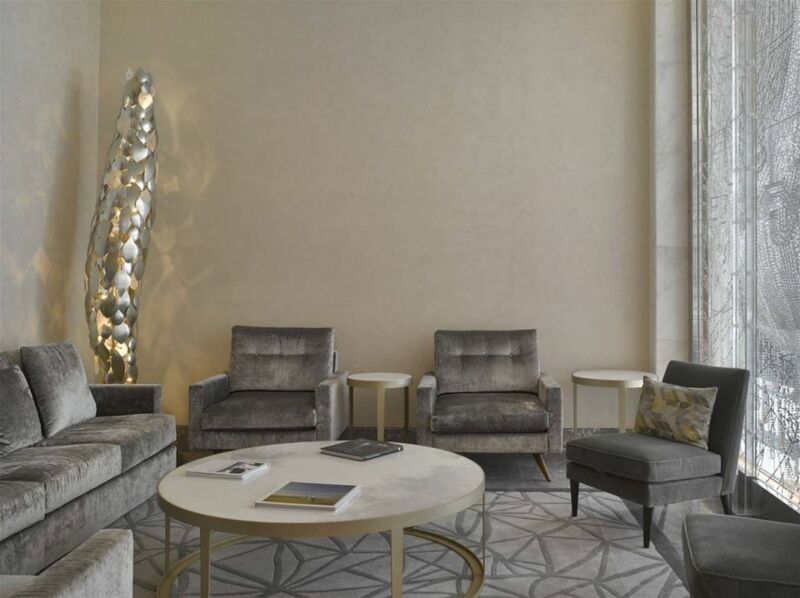 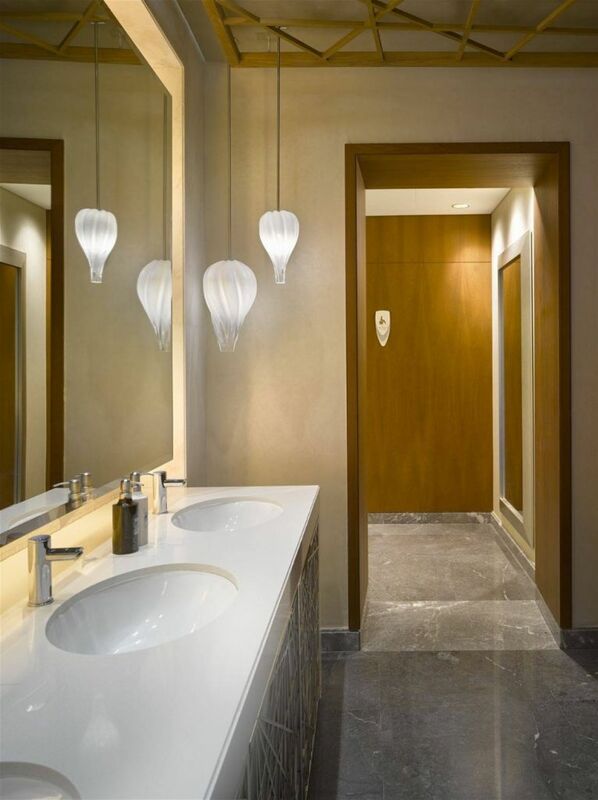 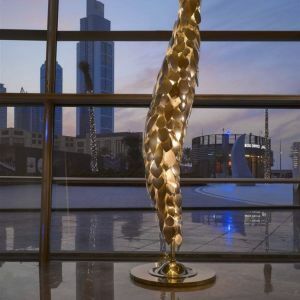 PRECIOSA collaborated with Dubai-based WA International and Jaroslav Bejvl jr. to produce pendants and floor lamps for selected public areas. 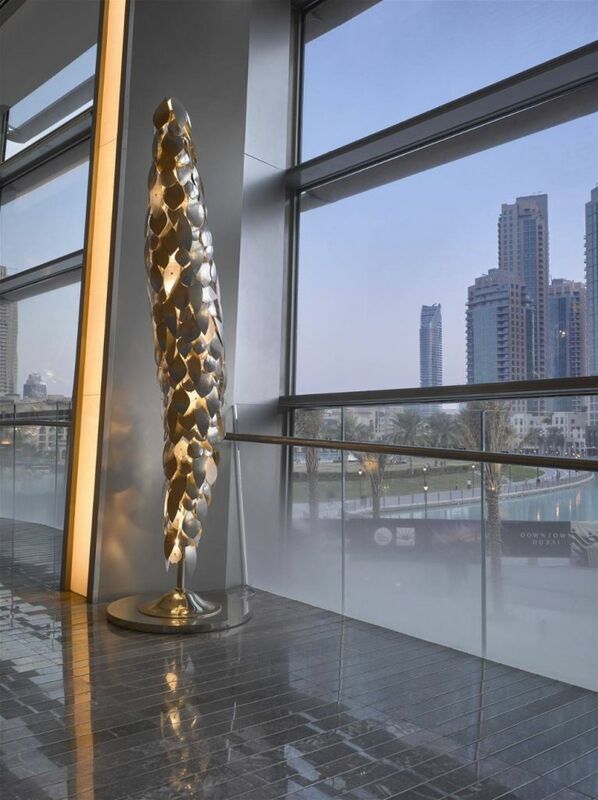 Floor lamps almost 3 meters high decorate the promenade, and lower and upper balconies. 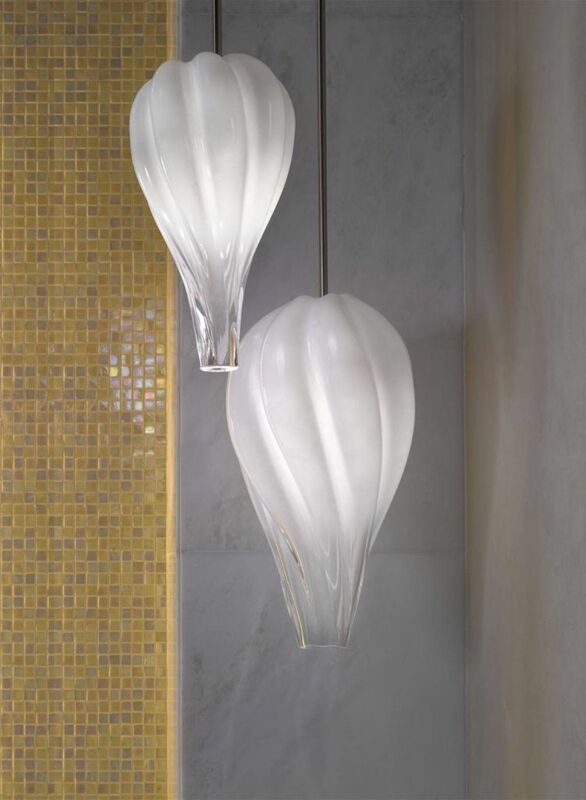 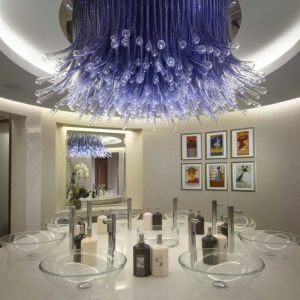 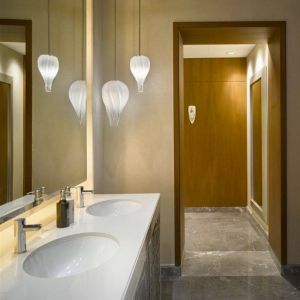 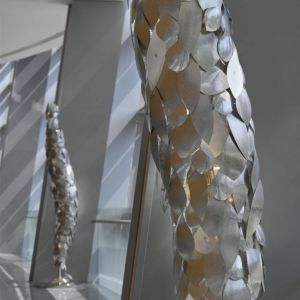 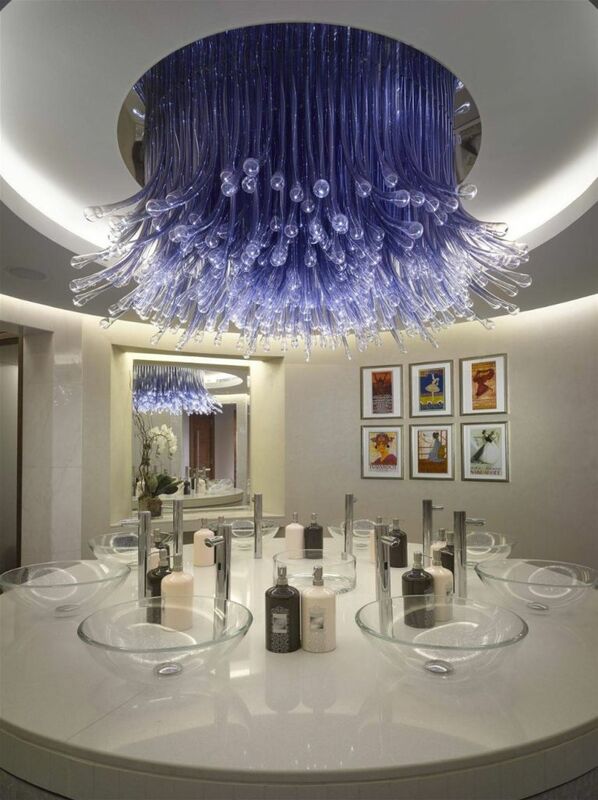 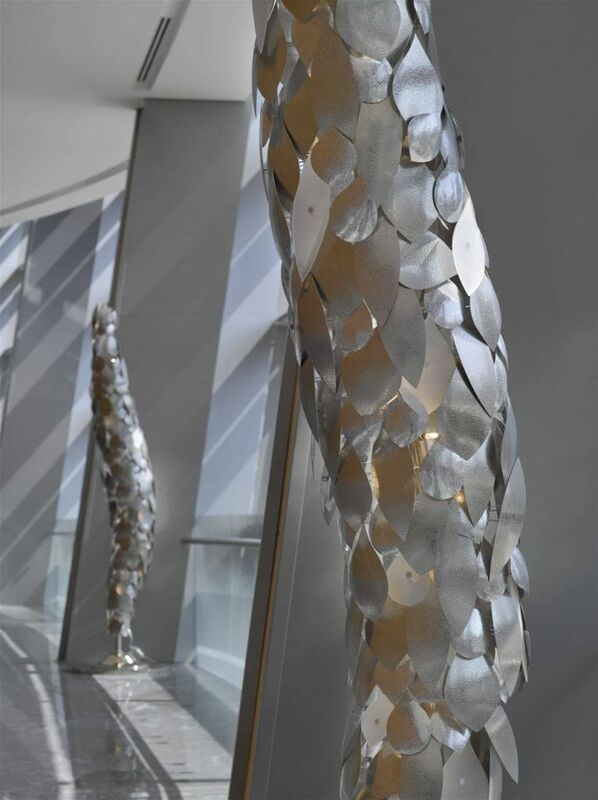 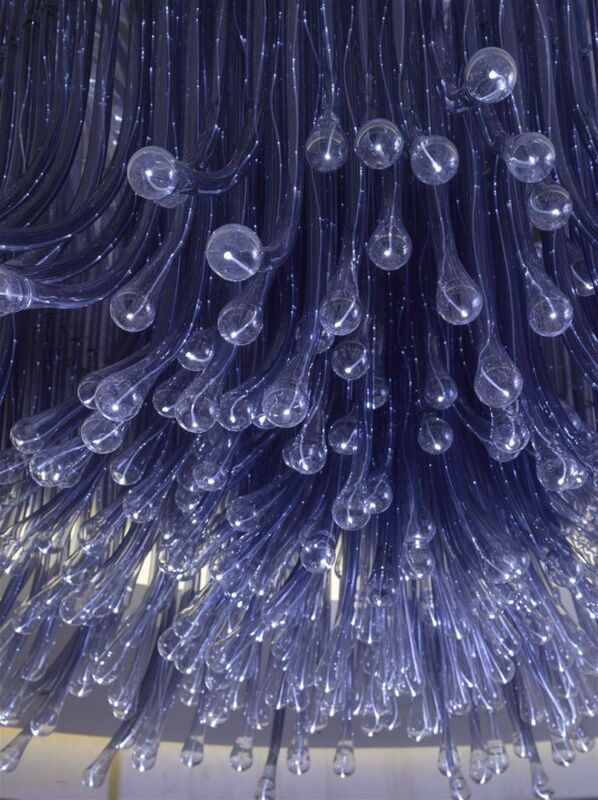 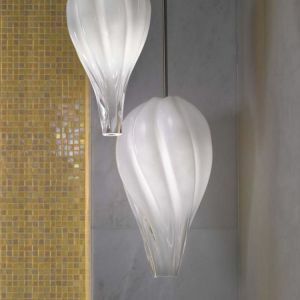 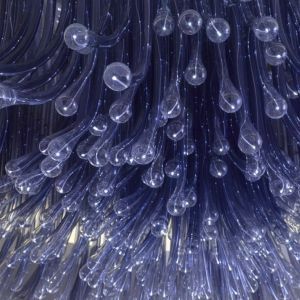 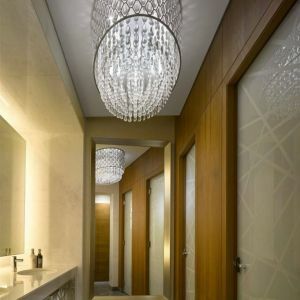 They are formed from metal and hand blown glass leaves with a frosted surface finish.